According to a declaration of arrest in the case, on Jan. 2 around 10 a.m. a Nye County Sheriff’s deputy was dispatched to a residence in the 300 block of Big Five Road for a report of vehicle theft. When the officer arrived, he made contact with an elderly man who said he believed Byron Wardlaw, who had been staying with him for a few days, had stolen his vehicle. While the officer was speaking with the victim, Wardlaw allegedly called the victim’s other roommate. Wardlaw then allegedly explained to the roommate that he had smoked the substance and was unable to drive back to Pahrump to return the vehicle. The victim’s roommate then offered to go and pick Wardlaw up, and the man allegedly agreed he would wait for them. Several hours later, the victim recontacted police to let the investigating officer know Wardlaw was at a convenience store at State Route 372 and Linda Street. When police made contact with Wardlaw, he allegedly admitted to taking the vehicle unlawfully, confirming that he took the elderly man’s car around 9 p.m. the night before. He was subsequently placed under arrest for unlawful use of a controlled substance and transported to the Nye County Detention Center to be booked into custody. An arrest report noted the victim decided not to press charges against Wardlaw for taking his car. Two people were arrested last week after deputies allegedly found one individual under the influence of heroin and another illegally in possession of prescription pills while assisting Pahrump Valley Fire Rescue Services in the investigation of a carbon monoxide leak at a home on Casey Lane. According to an arrest report in the case, in the early morning hours of Jan. 4 deputies and PVFRS were dispatched to an address in the 5000 block of Pahrump Valley Boulevard for a report of a woman feeling ill due to a possible carbon monoxide leak. When first responders arrived, a deputy made contact with a female by the name of Rachel Reese, who allegedly stated she had begun to feel ill due to a possible leak in her residence located in the 1200 block of Casey Lane. 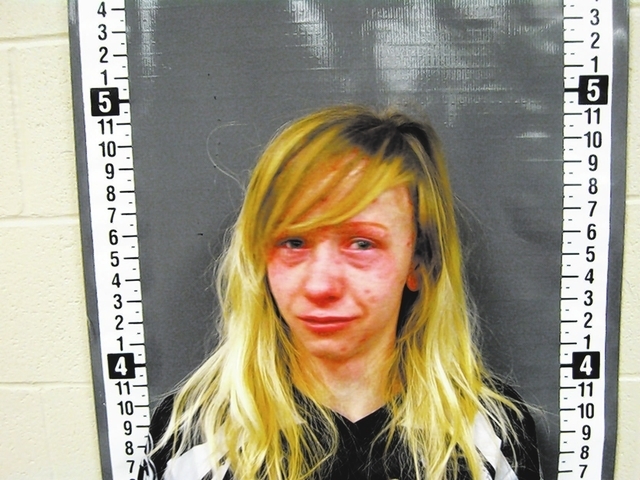 The woman allegedly told police and medics that she consumed heroin the night before as well. PVFRS then advised deputies they needed to make entrance into the woman’s home to investigate the possible leak. When they arrived and knocked on the door, a police report notes there was no answer. After several attempts to make contact were unsuccessful, entry was made into the home where first responders discovered two males inside. An arrest report noted PVFRS then did in fact discover a carbon monoxide leak in the home. After the leak was found, deputies asked the residents if they could search the residence for any illegal substances or weapons, to which one resident, William Culbertson, allegedly responded he didn’t mind. During that search, officers reportedly found a red bag in the master bedroom containing a prescription pill bottle with the name Rachel Reese on it. Inside that bottle, however, there were allegedly several different types of pills, including Hydrocodone, which did not match the prescription label. In Culbertson’s bedroom, police allegedly discovered several small resealable baggies, a small trace amount of methamphetamine on a scale found in a drawer, various prescription pills without any prescriptions and a butterfly knife and several throwing knives. Culbertson was placed under arrest at the home and transported to the Nye County Detention Center to be booked into custody. Reese was also later arrested after she had been released from the local hospital. 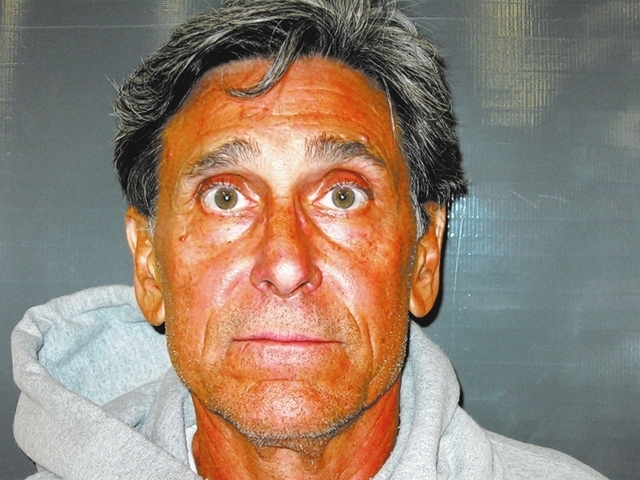 Police took one man into custody last week after he allegedly obstructed deputies and Animal Control officers attempting to secure a loose dog in the desert behind the Pahrump Nugget, by screaming profanities at them and then charging at one of the officers. On Jan. 4 around 9:41 p.m. deputies were dispatched to the desert area to the east of the Pahrump Nugget property for a report of domestic battery. When one deputy arrived on scene, he made contact with a female who said there hadn’t been a domestic battery, but that she had just been burned by her stove. Medics soon after arrived to transport the woman to the local hospital. As the woman was leaving, police reportedly noticed her dog was hiding underneath a trailer. After deputies called Animal Control to help them secure the animal, together they attempted to capture the dog as it had allegedly become aggressive. As they were trying to catch the animal, a man, later identified as John Wilson Thomas, came out of the trailer and began screaming profanities at the officers. 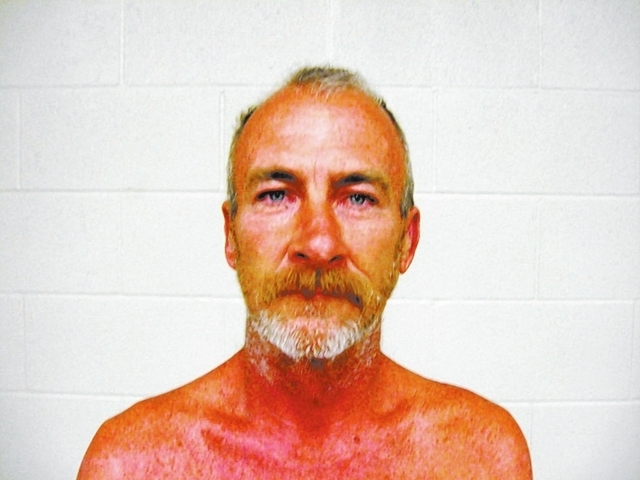 An arrest report noted Thomas appeared to be highly intoxicated when he exited the trailer. Police say Thomas then charged at one of the deputies, forcing the officer to grab the man’s right arm and place him on the ground. After a brief struggle officers were able to place Thomas in handcuffs. He was subsequently placed under arrest for resisting a public officer and obstruction and transported to the Nye County Detention Center to be booked into custody. A local citizen placed one woman under arrest this week after he told police he caught her attempting to steal his iPhone from his garage. According to a declaration of arrest in the case, on Jan. 5 a deputy was dispatched to to 800 block of San Lorenzo Street for a report of a citizen’s arrest resulting from a burglary. When police arrived they discovered a female, later identified as Rachelle Davenport, handcuffed to the back of a pickup truck. The officer then made contact with the man who placed her there, who explained Davenport had allegedly walked into his garage and taken his iPhone. When he discovered the item was missing, the man said he made contact with Davenport, restrained her and subsequently found his iPhone in her possession. After he took his phone back from Davenport, the man said he threw her outside and called the sheriff’s office. When he looked outside again, he said he noticed Davenport was now standing outside his neighbor’s garage. He then walked outside and placed Davenport under arrest and restrained her until police arrived. 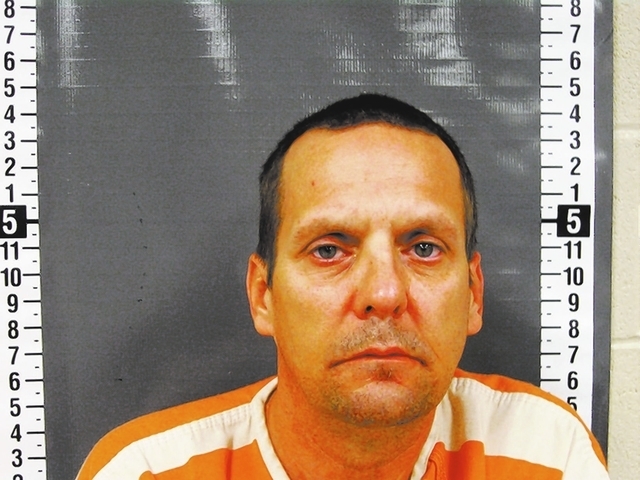 Davenport was then taken into custody by officers on scene and transported to the local jail to be booked into custody on charges of burglary and petit larceny.